Guard against damage from slipping and shifting while moving products in a truck. 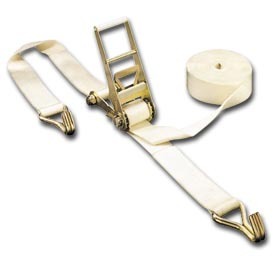 Tough strapping fabric is made of a polyester webbing. Capacities up to 10,000 lbs. Measures 27'L. x 2"W. Variety of fasteners available. FOB Shipping Point.